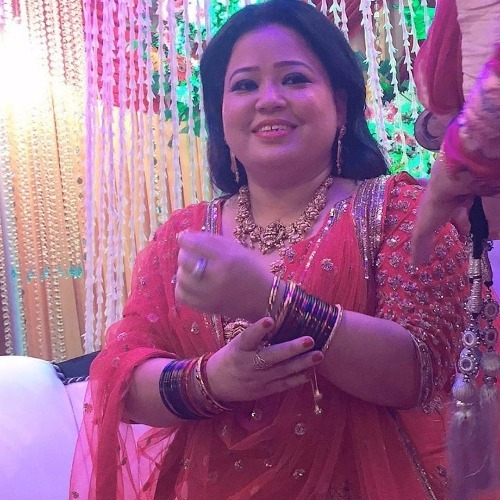 The very first ritual of Bharti Singh’s wedding ceremony is started with a dash of pink. The lady who tickles your stomach till it hurts is soon going to take nuptial vows with fiance Harsh Limbachiyaa. 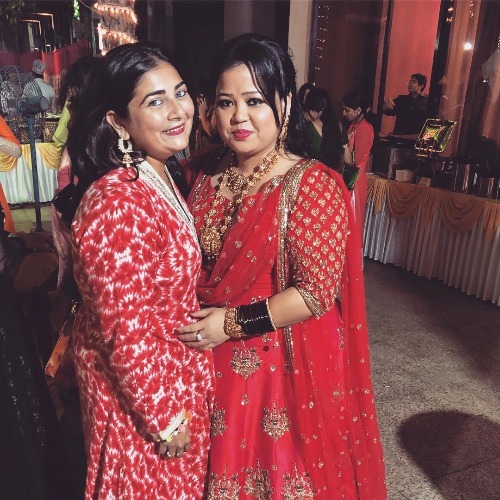 A few days back we shared a beautiful romantic pre-wedding video of Bharti Singh and Harsh Limbachiyaa. The couple had earlier announced their wedding date in a cutest way followed by a wonderful photo-shoot pics. 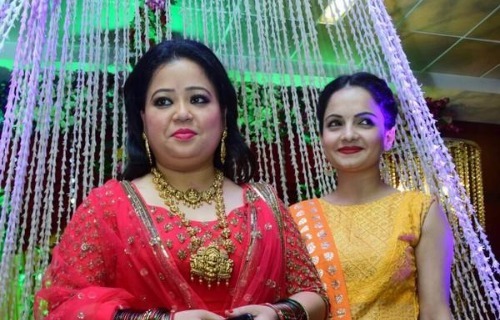 As we all know by now that Bharti Singh like any other bride is super excited for her wedding. She have taken off from her work and is looking into her wedding plans personally. If you been following her Instagram handle you will see that she is sharing her shopping stress, relatives fuss and teasing videos in most humorous way. She is off from work but have certainly not taken off from making us laugh. 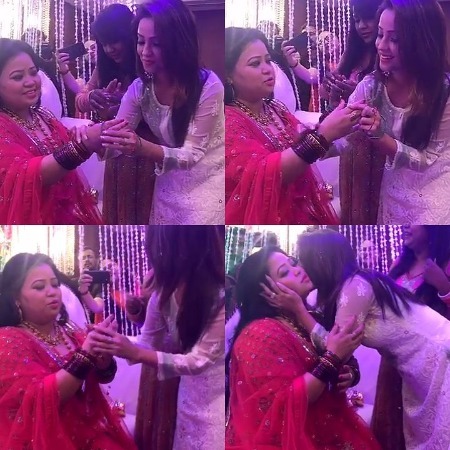 Bharti Singh’s first wedding ritual that is bangle ceremony was done yesterday. 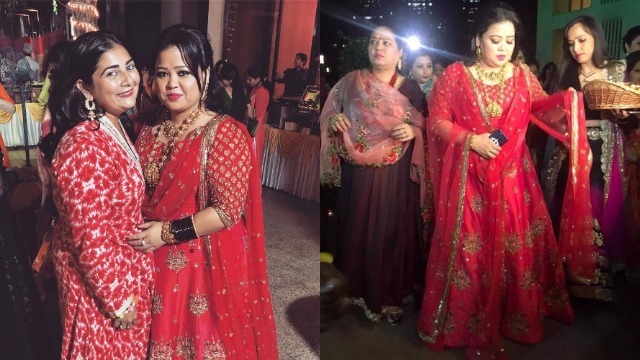 To-be-bride Bharti Singh is blushing in Neetu Lulla’s outfit. 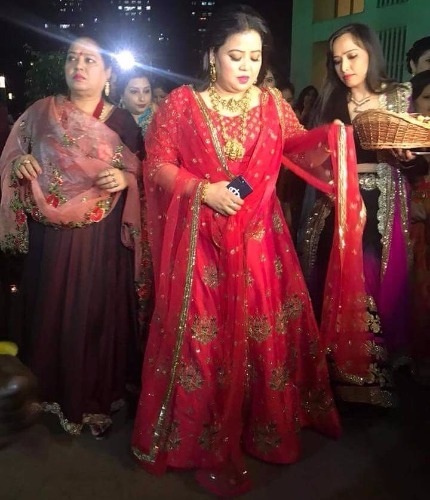 The bride is decked in heavily embellished dress designed by Neetu Lulla and jewellery from Anmol. 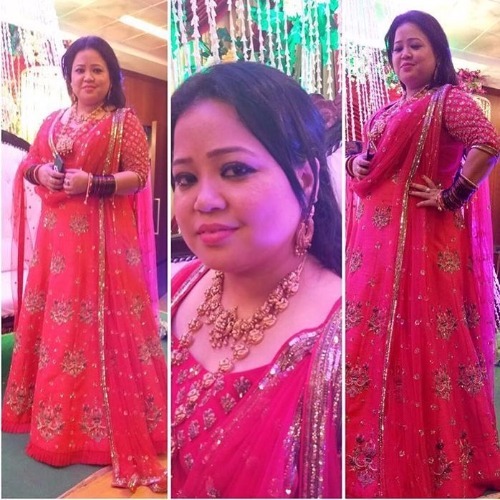 Bharti Singh looked gorgeous in pink anarkali finishing off her look with old necklace and earrings. 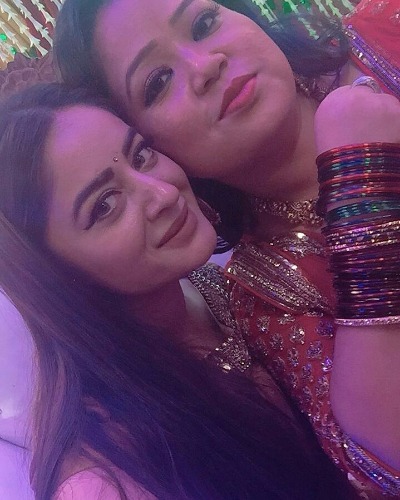 Also seen at the bangle ceremony were Tv actors Giaa Maanek aka Gopi of Saath Nibhana Saathiya, Mahhi Vij, Bigg Boss 8 fame Monalisa, Adaa Khan and Anita Hassanandani. 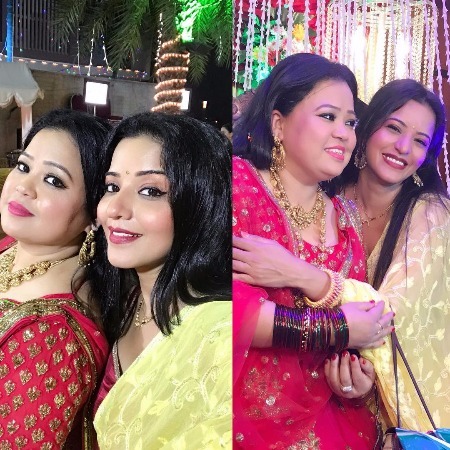 Bharti Singh and Harsh Limbachiyaa will have a grand wedding in Goa on Dec 03, 2017. Previous : Royal Engagement: Prince Harry Is Engaged To Meghan Markle, Priyanka Chopra, Barack Obama Wishes The Couple! Next : In Pics: Anushka Sharma, Virat Kohli, Sushmita Sen At Sagarika Ghatge, Zaheer Khan’s Wedding Reception!